As the colossal Sony hack continues to unfold, fresh victims are being identified in its wake. The latest victim of the Sony hack is a surprising one — Snapchat. Snapchat CEO Evan Spiegel and Sony Pictures CEO Michael Lynton liaise regularly because Lynton sits on the board of the social media app, and their email exchanges have now been revealed in new leaks. But what's even more surprising than Snapchat's place in the hack is its CEO's sincere and sensitive response. Spiegel wrote a heartfelt letter about the hack to his employees and it totally betrays the soft side of a guy who the public normally associates with sexting and beer pong. Snapchat secretly bought a company that makes something similar to Google Glass for $15 million. Snapchat is trying to introduce music into its app. 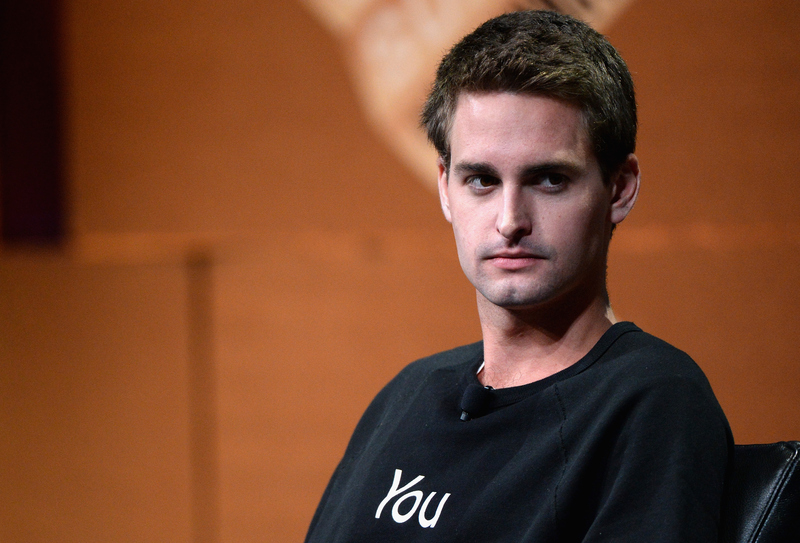 Snapchat turned down more than the previously reported $3 billion from Facebook. Spiegel may have pocketed $40 million during a round of fundraising, insulting Chinese investment company Tencent. The leaking of these revelations has visibly shaken Spiegel, who is perhaps reminding the world that though he may be the CEO of one of the most successful social media apps in the world, he's also still a 24-year-old, and he's (surprisingly) human. That side of him was evident in the emotional letter he sent to his employees in the wake of the email leak. The letter, which is titled "Keeping Secrets," opens with Spiegel saying he's been feeling a lot of emotions since the company's business plans were made public. "Definitely angry. Definitely devastated." I felt like I was going to cry all morning, so I went on a walk and thought through a couple of things. I even ran into one of my high school design teachers. She gave me a huge hug. I really needed it.... I want to give you all a huge hug because keeping secrets is exhausting. Spiegel then laments about how he's unable to "share all of the incredible things you're working on" with his friends and loved ones. "It's painful. It's tiring." But secrets are also a necessary component to a successful company. We keep secrets because we love surprising people. We keep secrets because it's the best way to keep showing the world that growth is not only possible, it's necessary. We keep secrets because it's the right thing to do, not because it's the easy thing to do. Toward the end, Spiegel apologizes to his team, not as an admission of guilt, but as a way to show his empathy and sympathy if any of their hard work had been compromised. A couple of people have asked me what we're going to do. First we're going to be really mad and angry and upset. And that's ok. This shows that he's treating them as people first, employees second. Dang. This is definitely a side of Spiegel I did not see coming. That last line kind of makes me want to high-five him, not punch him. That's saying something.